This summer has been full of weird and wonderful backyard wildlife. 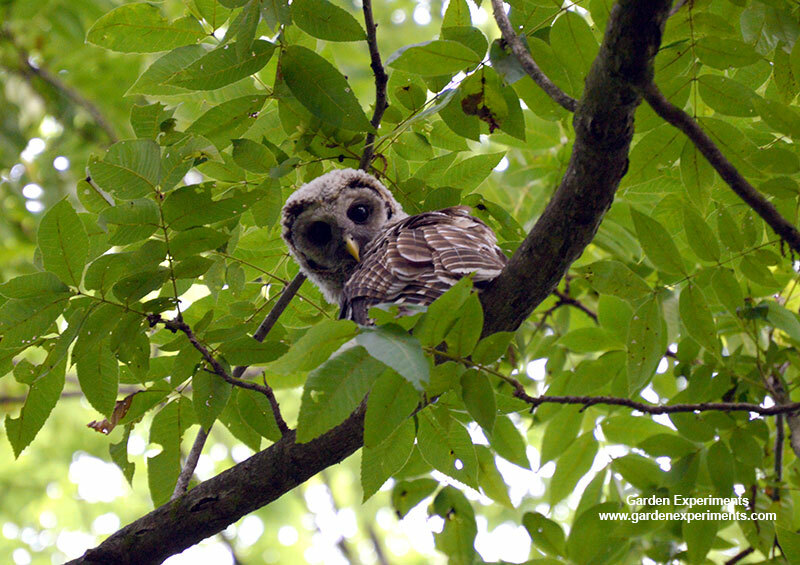 From a nest of barred owls to frogs to snakes and turtles, I’ve seen a lot in my garden and backyard. Watching wildlife is one of the things I enjoy so much about my garden and yard. It’s why I work hard to create suitable habitat for wildlife. This spring started out unseasonably warm and this summer has only gotten hotter. This week in particular, my state of Mississippi has had a large portion under a heat advisory many days. As a result, I’m not seeing as many butterflies or hummingbirds as usual, but I anticipate more of them coming back to my yard in late August/early September. The hummingbirds just started returning two weeks ago and now I have placed a total of 4 feeders in my garden for them. Probably the most exciting wildlife of this summer was the baby owlets in my backyard. Back behind my lawn is a very thin wooded area that surrounds an intermittent stream. A few blocks down the road it connects to a larger wooded area. You might be surprised at the wildlife that comes through via this path. Barred owlet – check out that beak! 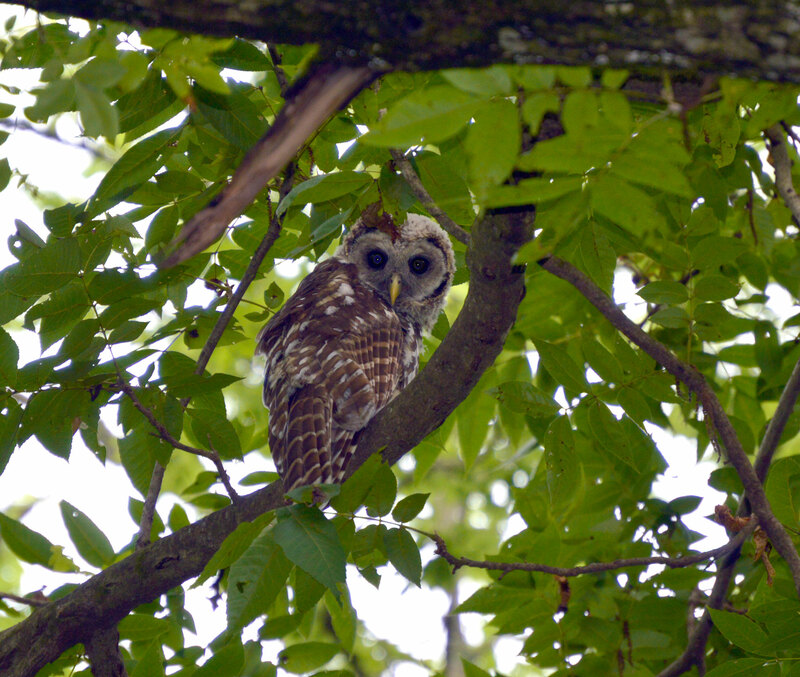 There is a barred owl pair that has lived in the neighborhood for several years. This year, they graced my back yard with their nest. I heard the owlets for a couple of weeks before I finally saw them. If you click on the video, you’ll hear a very high-pitched whistling noise. Surprisingly, that’s the sound of a barred owlet begging for food. It took me a while to realize what the sound was. At first I thought it was bats – but it continued for several nights and wasn’t moving around. It wasn’t until I saw the culprit, that I learned it was an owlet. Very cool! 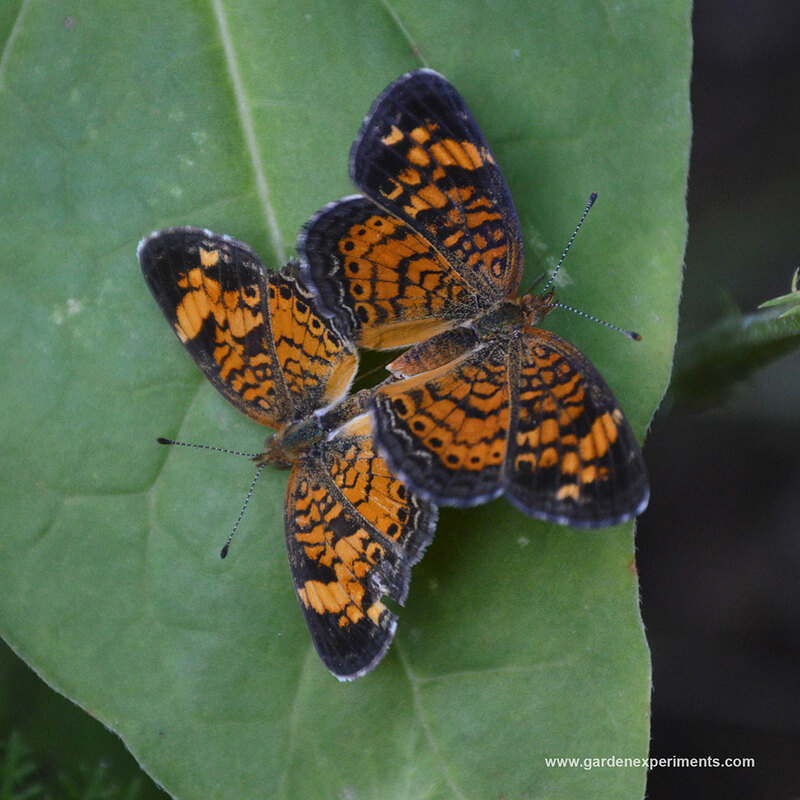 I always include plants that will attract pollinators – either as food sources or host plants. This year was no exception, and I am enjoying the bees, wasps, hummingbirds, and butterflies in my garden. I love the calls of frogs and toads that I hear at night. From spring peepers to the sheep-like call of the eastern narrow-mouthed toad (which always makes me giggle), it’s part of what makes Mississippi nights so special. I often see different lizards and frogs or toads in my garden. This year, these amazingly cute little guys came to greet me at the side door. 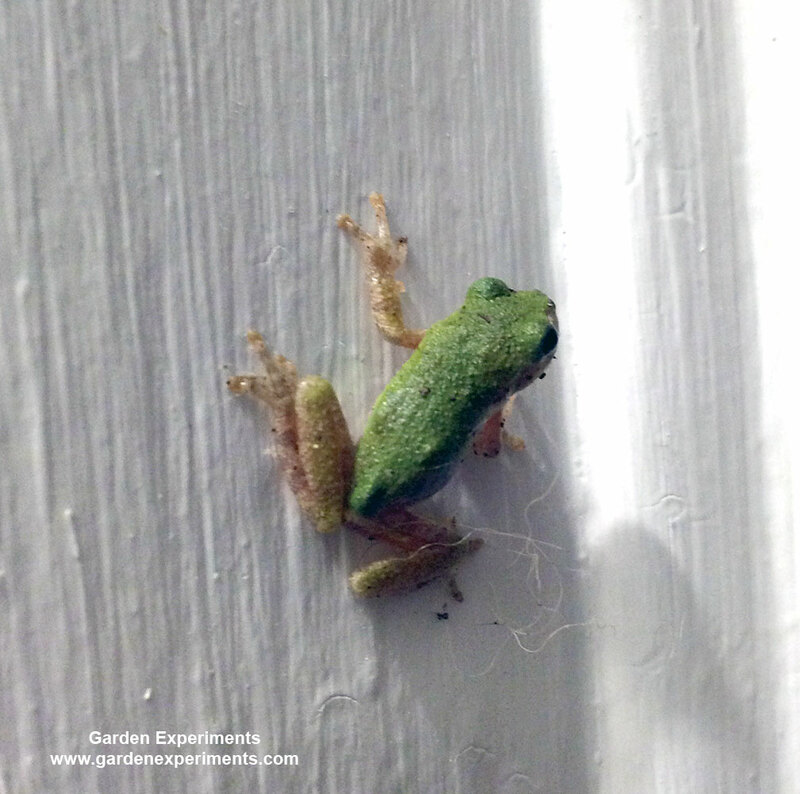 They are squirrel tree frogs and they are very tiny! 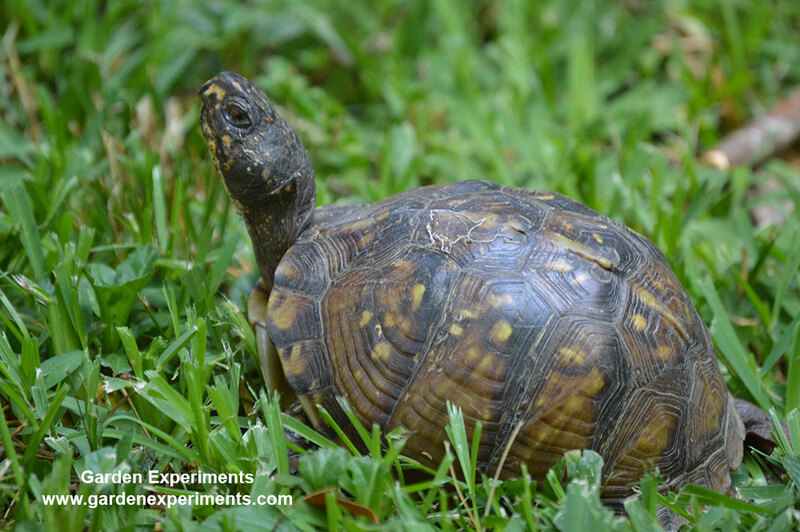 Box turtles are pretty common in Mississippi, During mating season, you’ll find box turtles, snapping turtles, and even soft-shell turtles crossing roads. Apparently, the grass is always greener…. It becomes a past time of mine to stop and remove turtles from the road before they get run over. The snapping turtles I usually leave to their own devices. Those things have a nasty temperament and can get pretty darn big. This box turtle was ambling through my backyard. I saw him from the window so I got the camera and tripod out. He apparently didn’t like the attention and stood perfectly still for 16 minutes!!! This is the most patient turtle in the world. I finally left the video camera running and went back inside. He finally stuck his neck back out and ambled back the way he came. Goodness! I enjoyed seeing a variety of colorful birds during spring migration. 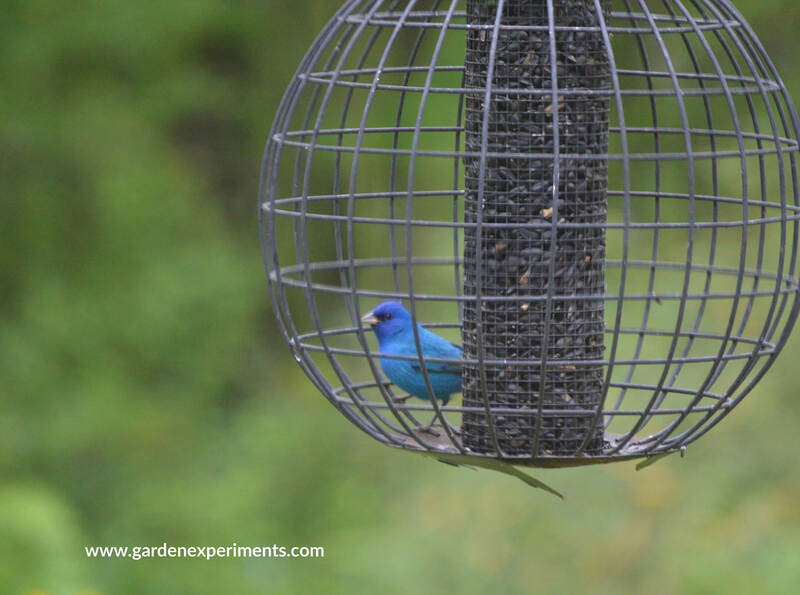 Blue grosbeaks and rose-breasted grosbeaks, indigo buntings, and goldfinches. To see photos of these birds at my feeders, visit the post about my feathered friends. Well that’s just a few of my garden visitors. I hope you can see why it’s so much fun to watch backyard wildlife.